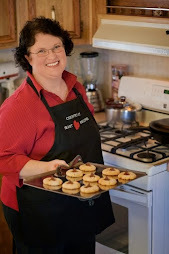 In our home, the only cooking shows available on television are on PBS, but there are a lot of great shows on CREATE. One of them is Cook's Country TV Show, which I really enjoy. Here is the blurb for this cookbook. 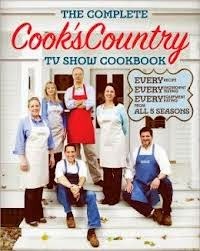 An updated must-have cookbook to include the sixth season of Cook's country, for one volume that's like a treasured recipe box brought to life. 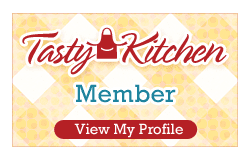 This collection will teach you foolproof methods for making more than 250 great American recipes including Apple Cider Chicken, Pan-Fried Pork Chops, and Mile-High Lemon Meringue Pie. And in addition to learning how to make great food, you can read the colorful stories behind the recipes.